Very similar to more modern Murano bird sculptures by Elio Raffaeli and Livio Seguso (the base, the colors, etc. ), this large stunner is unmarked, and thus far, I've not seen an identical marked piece to make a definitive attribution. Notice the expert fading of the sommerso birds from purple to cranberry to pink? THIS is the hallmark of high quality Murano glass! Good luck finding a Faux Made-in-China piece made with this kind of skill. 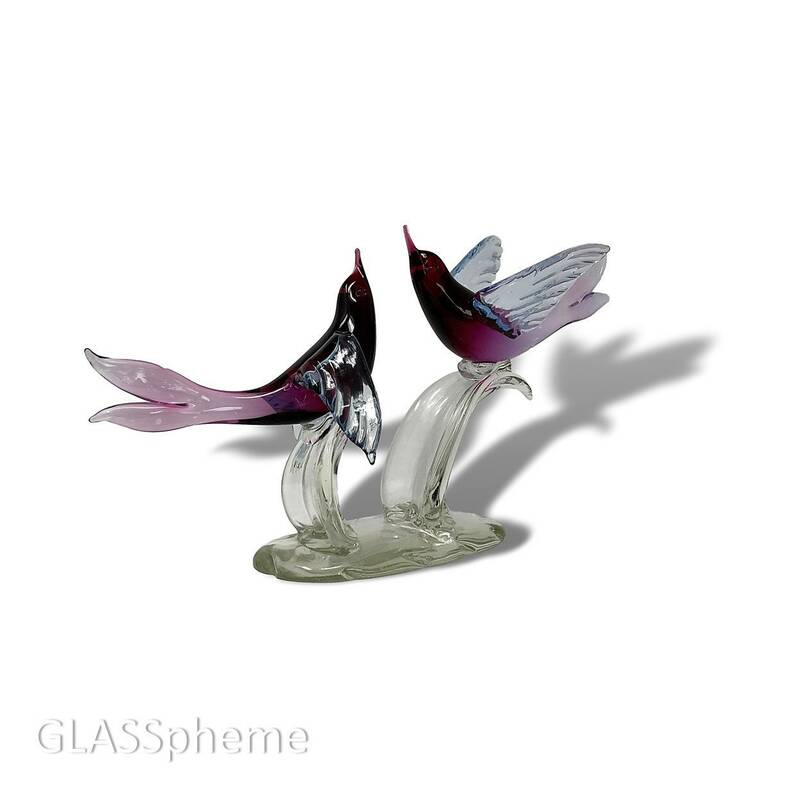 In fact, our Murano master went beyond technical virtuosity here and ventured into genetic engineering--are those fins on the tail of our love birds? Or are they love dolphins with wings? Frankly, it doesn't matter. This piece is simply magnificent and in pristine condition.